Though this isn't a new title for the iPhone, it is however one that I can't stop playing. 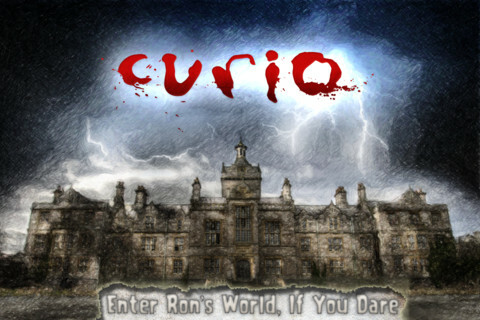 Curio is a horror title in which you play as "Ron Templeton III" and you must escape a mental asylum, by running, taking pills, and jumping over enemies. 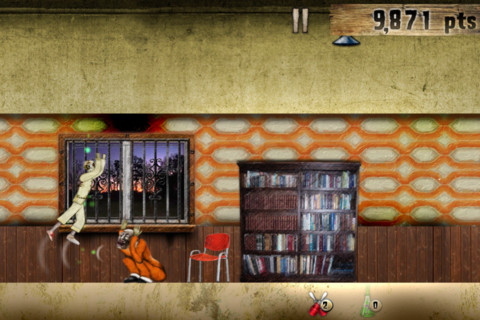 The gameplay is similar to that of let's say JetPack Joyride, but a lot more difficult. After numerous hours, and by numerous, I mean way more than I would like to admit for only getting to the fourth level. The only reason in which I relate it to the also addicting game Jetpack Joyride is because you must run through long corridors to get out of this messed up asylum, while jumping over enemies and collecting pills to keep you from losing your sanity, which is resembled by a screw in a board, get it? Once you have a screw loose, you go into an 8 bit, acid trip, bizarro world to try an obtain a gold star to bring you back to the asylum, but if you fail, it is game, I mean Sane Over. I was not too fond of the game at first, but there is a great sense of satisfaction from each section you complete. But, there is a great narrative to listen to with the completion of each level that had me coming back for more to see what happens to Ron next. This is also a game that you really should use headphones for to get the creepy experience and listen for audio queues to help keep yourself from losing your marbles. 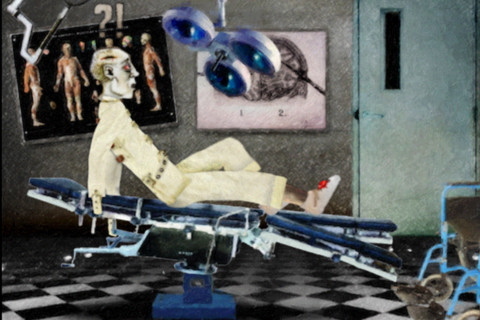 The art style is also dark and twisted, whether you are in the asylum or in what I now refer to as the 8 bit last chance. This is not a title to be passed off as a rip off due to the amount of content that is unlocked with each chapter, which consists of some great artwork or even better narrative. Thanks for the nice write-up, man. Glad the game's been driving you mad!